The Secret is Out: AMD TWKR CPUs!! 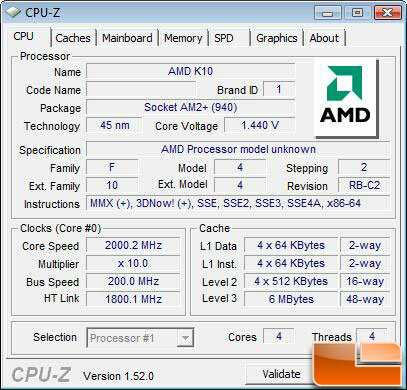 A few weeks ago rumors about an AMD Phenom II X4 TWKR processor hit the internet after a system builder posted a little more than he was supposed to on his private blog. 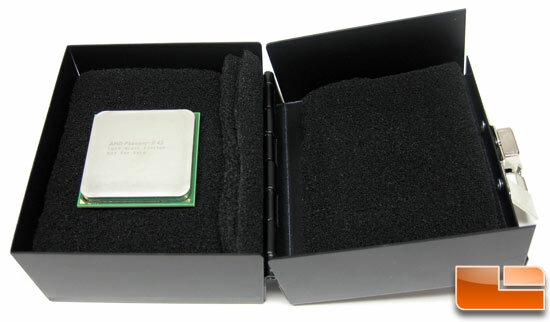 A small metal black box also arrived here at Legit Reviews, but we honored the NDA that we agreed to with AMD and kept our knowledge of the AMD Phenom II Black Edition TWKR processor under wraps. AMD created a small number of limited edition ��TWKR�?processors expressly for the extreme overclocking community in appreciation for their record performance feats with Dragon platform technology and AMD Phenom II processors. These processors are designed to reach the utmost performance barriers of the AMD Phenom II processor and operate beyond the specifications of typical production level processors. Called the AMD Phenom II X4 42 Black Edition TWKR processor, it is not for sale, and not covered by AMD��s product warranty. This processor is provided ��as is�?and AMD is not liable for any damages, of any type or character (including without limitation, system damage, loss of data or personal injury) caused as a result of using this processor. The processor will be distributed at this time solely through AMD promotional means. Under extreme low temperatures (liquid nitrogen and liquid helium cooling), TWKR processors can reach clock frequencies and near absolute zero temperatures previously unheard of for x86 quad-core processors. These processors demonstrate the sound engineering and superior process technology that is in each AMD Phenom II processor. Opening up the box that garnered the nickname 'Pandora's box' around our test lab, we discovered the handpicked AMD Phenom II 42 Black Edition TWKR processor. It's not every day you get a processor delivered to your door step that was handpicked to be an overclocking winner and will never be for sale to the public. This is every overclocker's dream and we are more than willing to overclock this little guy to the max! 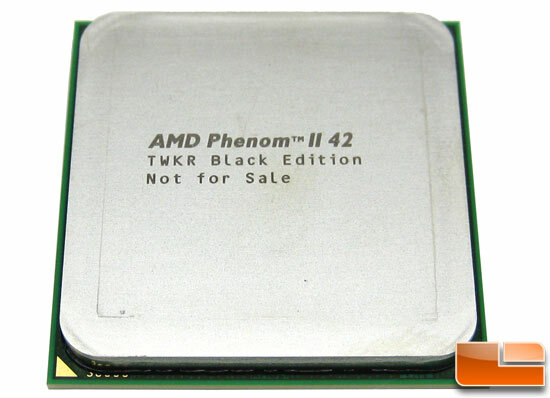 Taking a closer look at the AMD Phenom II TWKR Black Edition Processor we see that the processor has a part number of 42. We contacted AMD and they said that they had to give the part a model number and picked 42 as it means 4 cores at 2 GHz. They also stated that it��s "a bit of an homage to �?a target="_blank" href="http://en.wikipedia.org/wiki/The_Hitchhiker%27s_Guide_to_the_Galaxy">Hitchhikers Guide to the Galaxy�?as it is the answer to What is the meaning of life, the universal and everything..."
We weren't too sure about the whole '42' part number, but once we fired up the processor it started to click as the processor defaults to a 2GHz clock frequency. Now the whole 4 cores at 2 GHz makes some sense. Since this is a fully unlocked Black Edition processor it will never be run with these settings other than the very first time the system is fired up. Here is a quick look at the CPU-Z v1.52.0 showing off the vital stats of our TWKR processor. The processor is your run of the mill Phenom II X4 and features 6 MB shared of L3 cache. Each individual core also features 64 KB of L1 Data cache, 64 KB of L1 Instruction cache, and 512 KB of L2 cache. The TWKR CPU has the same revision and stepping of the CPU we used in our Phenom II X4 955 CPU review, so it's just a handpicked and binned processor. Let's ask AMD a few questions about TWKR and get to overclocking! · Page 1 - The Secret is Out: AMD TWKR CPUs! !